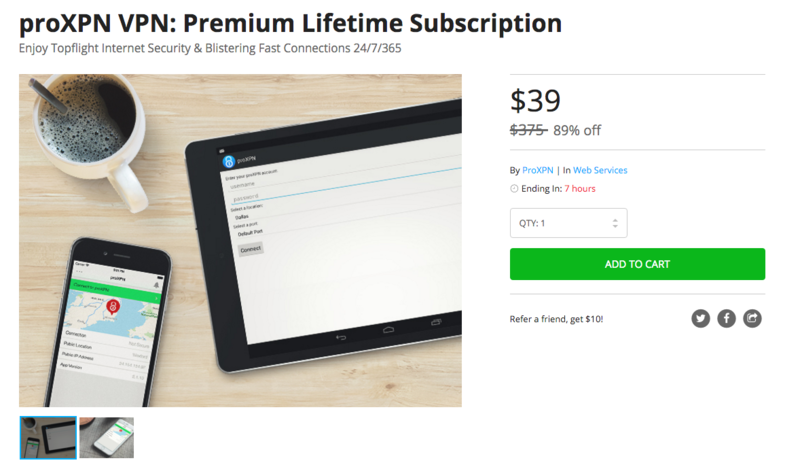 For those in need of a more secure web browsing experience, you can purchase a lifetime subscription to proXPN on the DL Deals Store, a VPN service that helps protect your identity while surfing the web. Users of proXPN receive unlimited traffic bandwidth, as well as secured WiFi connections with masked IP addresses even when on public networks. Additional features include encrypted browsing with a 512-bit Encryption Tunnel using a 2048-bit encryption key, as well as PPTP or OpenVPN encryption options. proXPN supports mobile device users, plus comes with VPN Guard, which allows you to select which programs should automatically shut down if your proXPN VPN connection drops. If you need a VPN service, follow the link below.